If you’re seeking a local Livingston County, MI irrigation company, call us at RainMaker Irrigation, LLC. 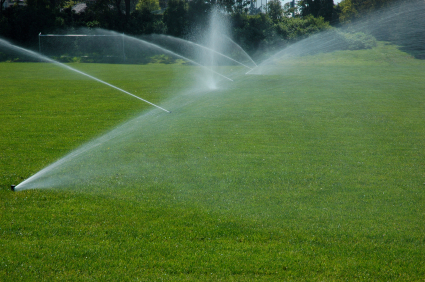 We offer everything from professional irrigation services to property management. You’ll be in good hands with our local landscaping experts. Michigan winters can get cold and icy as snow accumulations have been known to get into feet as opposed to inches. That’s okay. We can remove the snow from your home or businesses’ driveway. Using our plow service, you’ll get the chance to be safer. We will salt your walks, plow your driveways, and also irrigate your lawn. We want to make sure that all facets of your exterior are taken care of. Contact our landscape experts to get an estimate today. You can trust our landscape team as we offer the utmost experience. You too can have a positive experience whenever you call RainMaker Irrigation, LLC. Ask your neighbors and family who have taken advantage of our services before. No one ever thinks of landscaping services in Livingston County being needed in the winter, especially in Michigan but they a do happen. Professional irrigation will help protect your grass, shrubbery, and other outdoor growth. By spring, you’ll already have a head start. When it comes to your outdoors, how safe are you? Do you think that you can stay out for most of the night and safely? We have the solution for your Livingston County home and that’s landscape lighting. We can install all types of outdoor lighting in Livingston County making your home a safer place. What you probably don’t know is that most prowlers stick to the sides of homes and wait in the dark shadows until everyone is asleep before they attack. Landscape lighting will certainly help light up those dark, creepy corners of your exterior keeping prowlers and thieves away. Call us for options on making your outdoors a safer place to be. We will do everything that we can in order to get your complete satisfaction. Don’t wait, call us today for an evaluation of your outdoors. RainMaker Irrigation, LLC. puts smiles on peoples’ faces in the community. As a member of the community, we want to make homes and businesses beautiful on the outside, so call to speak with our Livingston County irrigation experts today. If you are looking for irrigation experts in the Livingston County area please give us a call 734-564-1373 or complete our online form.